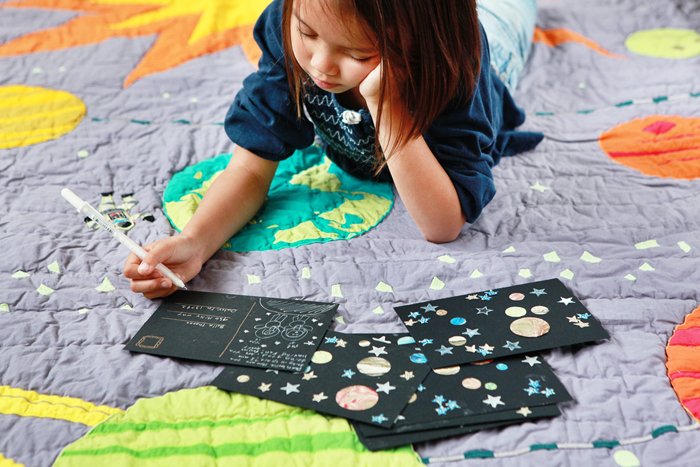 I'm over on The Land of Nod's blog talking about how to put a galactic twist on snail mail. It's a great little project for a play date or party as well. Read all about it here.